The production plant at Hinterrigger, close to the southern end of the exploratory tunnel, has already started up the activity in order to produce the concrete segments for the inner lining of the “Mules 2-3” tunnels. Run by the company Isocell Precompressi S.p.A., the plant occupies an area of approximately 30,000 m2 (of which 15,000 m2 are covered). From here, construction yard trains using dedicated tracks in the exploratory tunnel will carry the segments up to the tunnel boring machines (TBM). 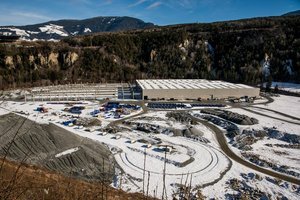 Over 700,000 m3 of raw material, necessary for the production of concrete, will come from the excavation in the granite of Bressanone. This will reduce the impact on the environment by avoiding excavations in other areas, road transport, air pollution, dust and noise. 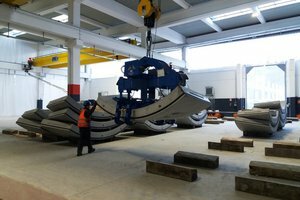 For these reasons, BBT SE, in agreement with the Autonomous Province of Bolzano, had pushed for the production of the segments on site. Currently, 60 workers are employed in the plant. At the height of activity, this number will rise to 130, and up to 250 concrete segments will be produced every day. Each segment has an average weight of 4.2 tons. At the moment, only the production chain that will supply the "Serena", the TBM which in the coming weeks is going to start the excavation of the exploratory tunnel between Mules and Brennero, has been activated. 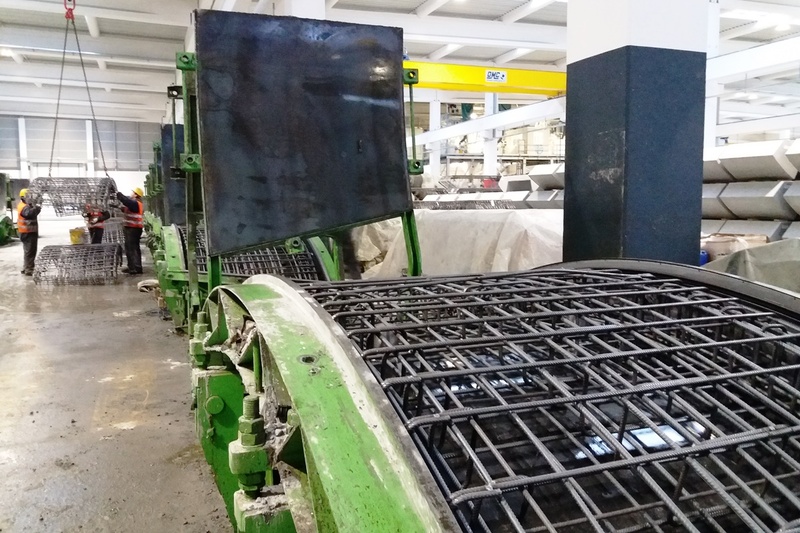 The plant will be fully operational in the second half of the year, in view of the launching of the two machines for the excavation of the main tubes, expected in the first weeks of 2019. 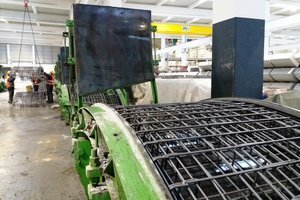 After the end of the construction period, the production plant will be dismantled and the natural state of the area will be restored.